Good thing takes time. 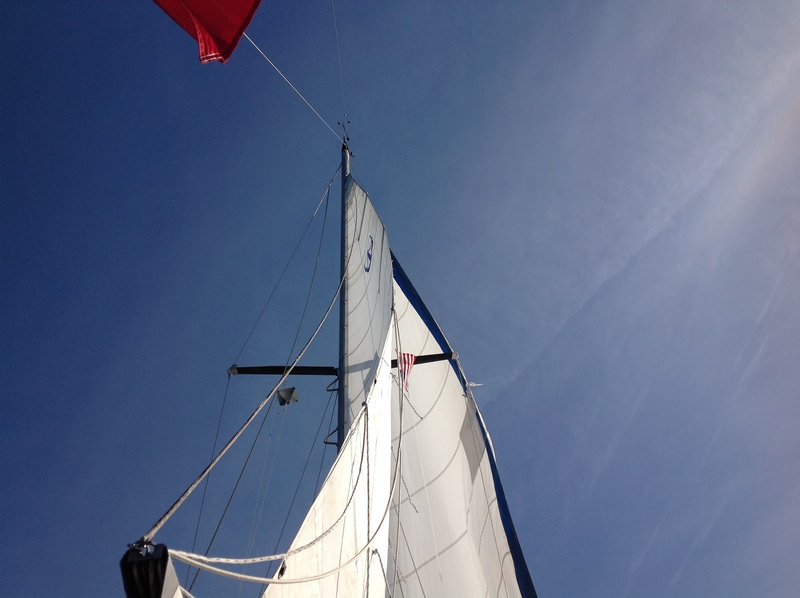 I just got back to the boat 10 days ago and would like to complete for our sailing last year. (continue from under the Golden Gate Bridge To Half Moon Bay then Santa Cruz and time run out so we sail the boat to end up 2016 sailing at Moss Landing, CA. No wind and big swell. Later on we turn the boat back to harbour. As the boat was rolling from beam to beam very uncomfortable with engine only for power. 08.00 am Tried to leave Half Moon Bay again but not succeed. Due to weather condition was not good. Return to harbour. US$46 per day, including power and water but no wifi. Extra for shower and no security. Fair wind sailing from Half moon bay to Santa Cruz. Santa Cruz or Small craft harbor there was no available slip for our boat so the harbor office let us dock at the empty space. There are few restaurant near by and one coffee shop with wifi where you can make friends or people regularly be there and share their story. Santa Cruz, a small craft harbor at night time in December 2016. 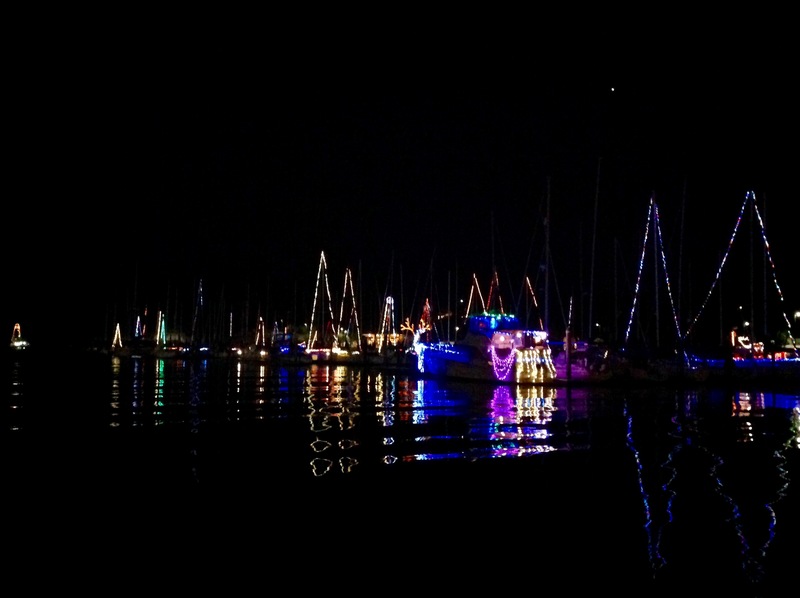 At night time many boats decorated with Christmas items like parade. Due to the engine still cannot count on so we check for the wind everyday and docked here for 5 nights. With some light wind. 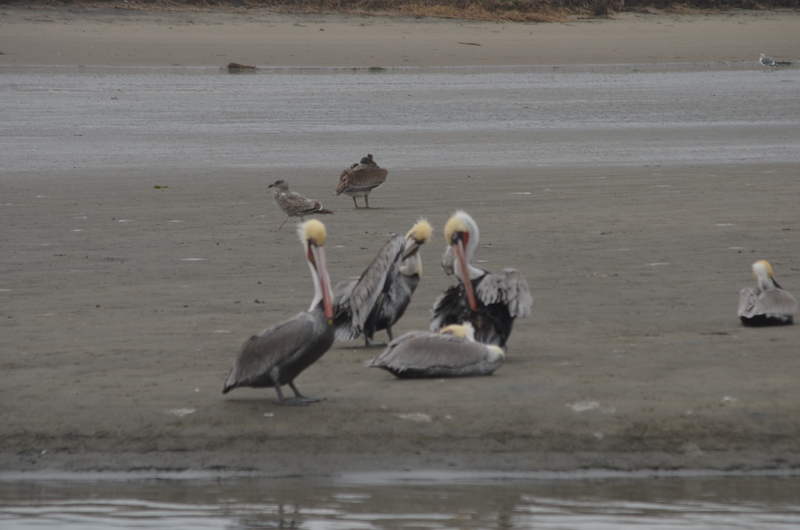 Almost half way to Monterey bay engine stop working so we decided to head to Moss Landing. The entrance would be difficult at night time. Beach land is flat hard to see buoy. 02.00 pm we make a call to Elkhorn yacht club for the guest dock which is not available. 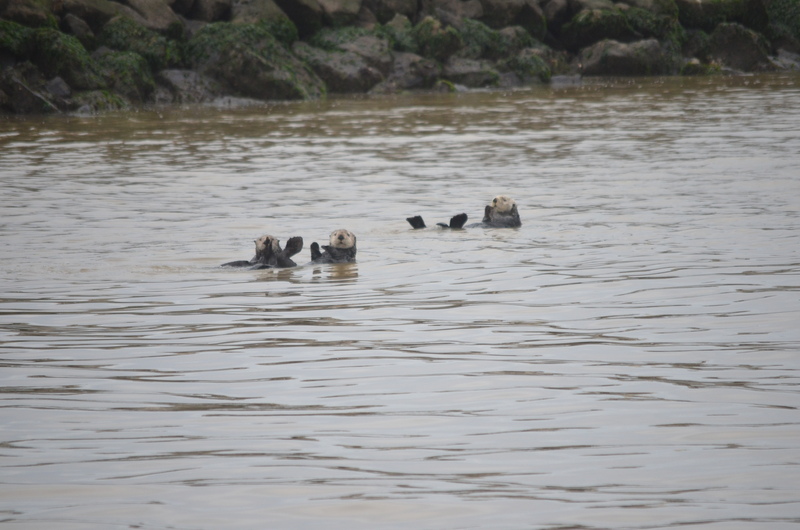 After entered to Moss Landing we see many sea otters in a group. Also many sea lions on lie down at the bay. Many types of birds. Quite impressive to see plenty of wild animal. Moorage US$ 46 per day (including water and power) wifi have to walk to yacht club area. 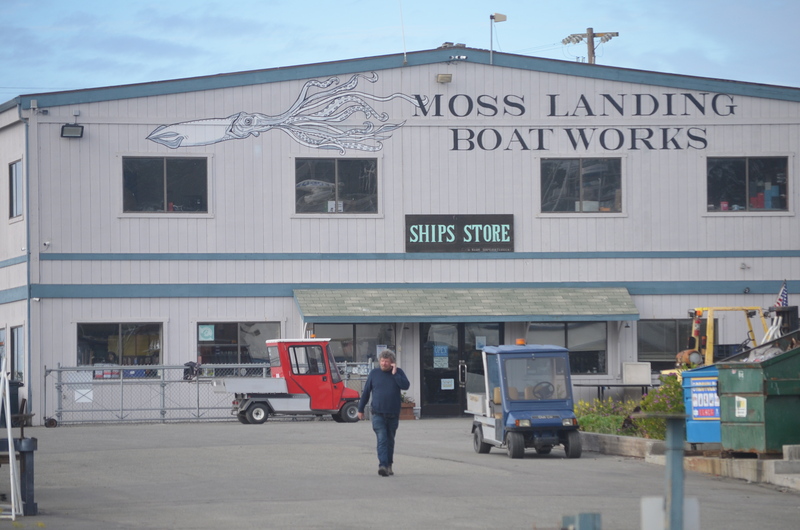 We read before in a book after entered into moss landing so the book is right. There are family of sea otters paddle around. 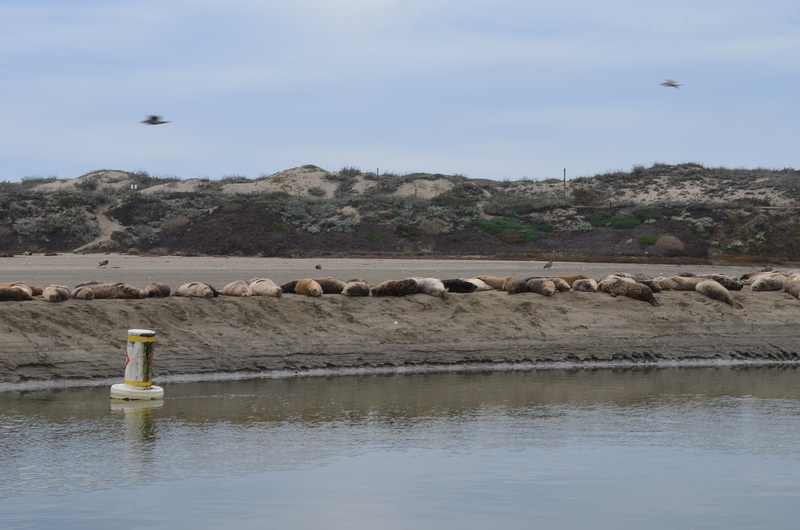 Also plenty of sea lions, birds all over the area of sandy beach. We had a Friday dinner for $5 burgers with drink. ELkhorn is a valunteer yacht club and friendly people. The Director “Niki Clark” shown us around and also kind and helpful to drive us to San Jose International airport the day we leave. We did not make it to Monterey Bay at that day. More over we had a good time and feeling. Finally Stephen Contact Moss Landing Boat works to leave the boat on dry dock. Big population of Sea Lion on beach. “Free from worry that the boat will not sink”. Stephen repeat.